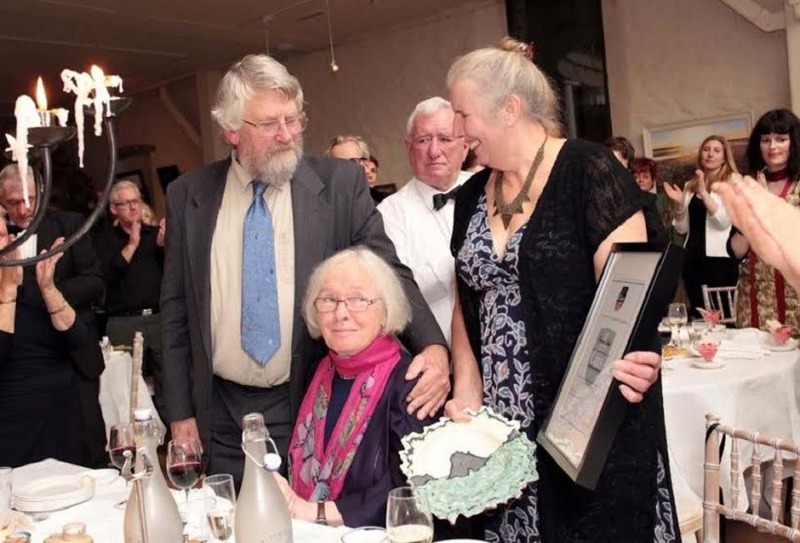 We were all deeply saddened by the recent passing of one of our Irish food heroes, Veronica Steele, the matriarch of the Irish cheesemakers. 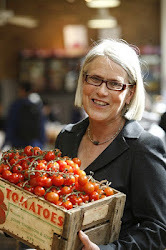 So I want to write a little tribute to an extraordinary woman who has touched so many of our lives and whose legacy will continue to remind us of this, bright, beautiful, charismatic, self-deprecating character who unwittingly started the artisan food movement in Ireland. I can’t begin to improve on this wonderfully description of how it all began in Veronica’s own words on the Milleens website. “The origin of the initial concept is fading in the mists of time. Hunger and shame. There was nothing to eat: nothing interesting. The old shop in Castletownbere with its saucepans and shovels and Goulding’s Manures clock wagging away the time, and smoked hams hanging from hooks in the ceiling and huge truckles of cheddar on the wooden counter with their mouldy bandages the crumbs of the cheese strewn around, scrumptious, tempting, melt-in-the-mouth crumbs which you could nibble at as you queued to be served, with your message list. And then she would cut a fine big chunk, golden or white and what I missed the most is the way it crumbled. So they closed it and gutted it and extended it and re-opened it. Enter the trolley. Spotless, sterile, pre-packed portions sweating in their plastic. Tidy piles. Electronic scales. Keep moving. Don’t block the aisles. No idle chatter. Big brother is watching you. Don’t ask for credit. Oh boy! And then one day in a different shop that jolly French pair of geriatrics asking for the local cheese and being given Calvita. And then we bought a farm and a cow. Her name was Brisket and she only had one horn. She lost the other one gadding down a hill. tail-waving, full of the joys of Spring. Her brakes must have failed. We had to put Stockholm tar on the hole right through the hot Summer. And all the milk she had. At least three gallons a day. Wonder of wonders and what to do with it all. And then remembering those marvellous cheddars. So for two years I made cheddars. They were never as good as the ones in Castletownbere had been but they were infinitely better than the sweaty vac-packed bits. Very little control at first, but each failed batch spurred me on to achieve, I was hooked. Once I had four little cheddars on a sunny windowsill outside, airing themselves and Prince, the dog, stole them and buried them in the garden. They were nasty and sour and over salted anyway. Those were the days. So one day Norman said, ‘Why don't you try making a soft cheese for a change’. So I did. It was a quare hawk alright. Wild, weird, and wonderful. Never to be repeated. You can never step twice into the same stream. Now while this was all going on we had a mighty vegetable garden full of fresh spinach and courgette’s and french beans, and little peas, and all the sorts of things you couldn’t buy in a shop for love or money. And we would sell the superfluity to a friend who was a chef in a restaurant and took great pains with her ingredients. She would badger the fishermen for the pick of their catch and come on a Monday morning with her sacks to root through our treasure house of a garden for the freshest and the bestest. Now I was no mean cook myself and would have ready each Monday for her batches of yogurt, plain and choc-nut, quiches, game pies (Made with hare and cream – beautiful), pork pies, all adorned with pastry leaves and rosettes as light and delicious as you can imagine, and fish pies, and, my speciality, gateau St Honore. So there was this soft cheese beginning to run. We wrapped up about twelve ounces of it and away it went with the vegetables and the pies and all the other good things to Sneem and the Blue Bull restaurant where it made its debut. Not just any old debut, because, as luck would have it, guess who was having dinner there that very same night? Attracted no doubt by Annie’s growing reputation and being a pal of the manager’s, Declan Ryan of the Arbutus Lodge Hotel in Cork had ventured forth to sample the delights of Sneem and the greatest delight of them all just happened to be our humble cheese . The first, the one and only, Irish Farmhouse Cheese. At last, the real thing after so long. Rumour has it that there was a full eclipse of the Sun and earth tremors when the first Milleens was presented on an Irish cheese board. The product had now been tested and launched. Its performance, post launch left nothing to be desired. The very next night Ms Myrtle Allen, accompanied no doubt by other family members, of Ballymaloe House, similarly engaged in testing the waters of Sneem, polished off the last sliver of the wonderful new cheese and was impressed by its greatness. And then began the second phase of research and development. Improvement. For eight years, this was written in 1986, now we have devoted our energies to the continued improvement and development of Milleens cheese, and show no intention of stopping. The changes in the product have been gradual and subtle and in line with increases in production which are always kept in line with the growth in demand. As the product developed so too has the packaging which is both simple and highly sophisticated. As Milleens must travel by both post and refrigerated transport a package had to be strong enough for the rigors of the postal system yet with sufficient ventilation to avail of the benefits of refrigeration where available. Our strong wooden boxes met these requirements. 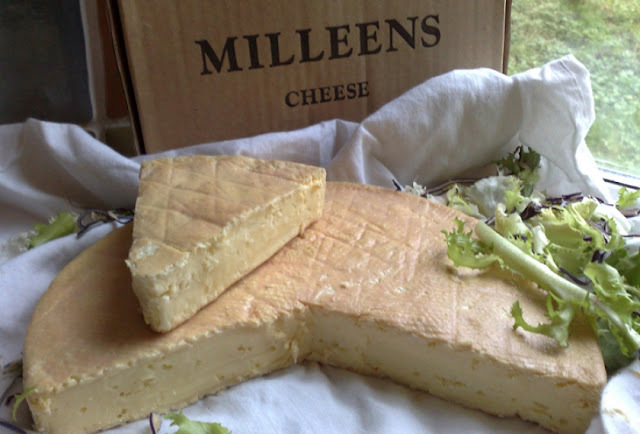 It was also thought necessary that the box serve as an attractive display for the cheese ensuring that the name Milleens was displayed prominently, and differentiating it from other products. It has been most successful in this area too and customers invariably display the cheese in the box. Very clever altogether. The boxes are made and stenciled here in our workshop by ourselves and members of the staff. Apart from growing and felling the timber all the phases of their manufacture take place at Milleens. They compare most favorably in price with any box on the market. 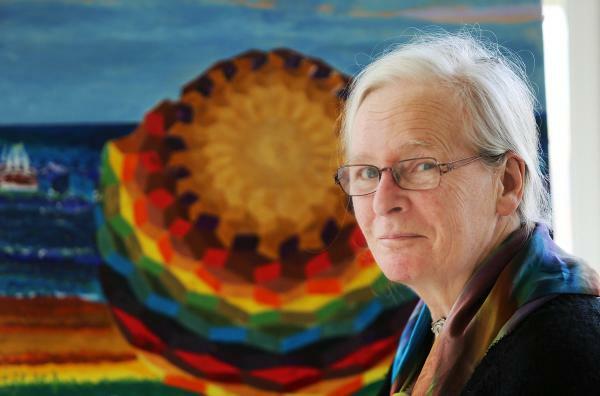 Oh, to be able to write so evocatively – I too remember when Annie Goulding at the Blue Bull in Sneem gave me a taste of her ‘friend over the hills’ cheese in the early 1980’s. At the time, as Veronica said we were a nation of Calvita eaters and one can but imagine the excitement when we discovered this feisty flavourful cheese that tasted of that place and tasted of Ireland. A new cheese was born – the beginning of a new era that has totally changed the image of Irish food both at home and abroad and has us bursting with pride. Veronica had a vision for Ireland – farmhouse cheesemakers in parishes all over the country making cheese from their rich milk of their pasture fed cows. As she continued to experiment herself, she generously shared her knowledge, and encouraged so many others to get started. Jeffa Gill of Durrus, Giana Ferguson of Gubbeen, Mary Burns of Ardrahan and a whole host of others lovingly acknowledge Veronica’s influence. We visited Milleens many times and brought students and dignatories from all over the world to meet Veronica and her equally charismatic husband Norman. Always an open door, always a warm welcome. Nowadays their son Quinlan, the next generation, continues to make Milleens and build on his parents work. 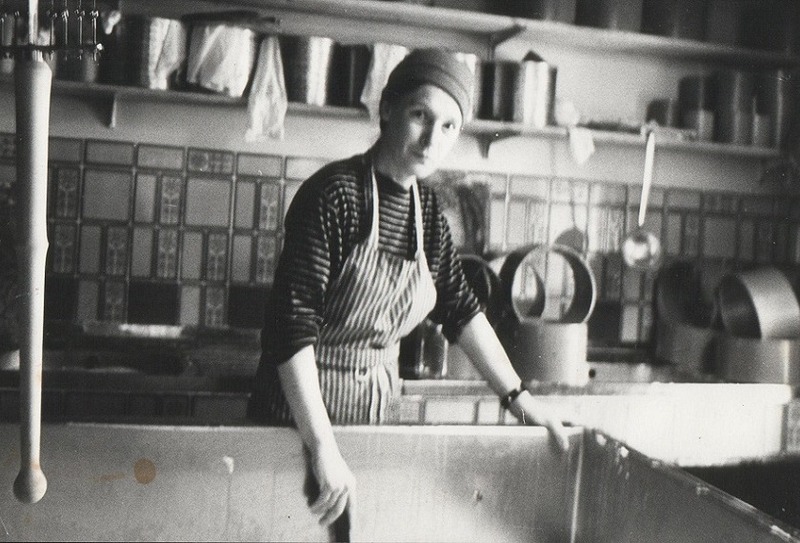 And here at Ballymaloe House and Ballymaloe Cookery School we still serve Milleens cheese proudly and give thanks for the life of Veronica, the matriarch of all the Irish farmhouse cheese makers. That's amazing.For crash repair and Panel Beater Baldoyle Auto Centre is the most right and specialized place in Ireland. I suggest people this for their cars.